Sometimes it's the simplest ideas that are the most mind-blowing. Like the fact that you can decorate a pumpkin without actually having to carve it. This was quite the revelation for me. H-U-G-E.
You see, I have a serious aversion to pumpkin guts. Just the thought of those stringy innards sets off my gag reflex. So last year, when I started seeing uncarved pumpkins on Pinterest--pumpkins that had been painted, bejeweled, Sharpied and more--I filed those ideas away for this fall. Then, last week, as I walked into my local grocery store, I saw these little cuties just waiting to be bought. I wasn't 100% sure what I wanted to do with them so I threw them in an old vase until I was ready to make my move. And frankly, they looked quite pretty just the way they were, but I wanted to do more. A day later I found myself at Michael's where the "Recollections" line of embellishments were 50% off so I picked up few packs of "Bling on a Roll." Which I really want to rename "Bling on a String." And because I've got a string theme going on here. ahhh!! Beautiful! So simple yet so elegant! super duper cute!!! I do love the white pumpkins...just so striking!!! Those are fabulous! I love not dealing with the guts too! Those are beautiful! 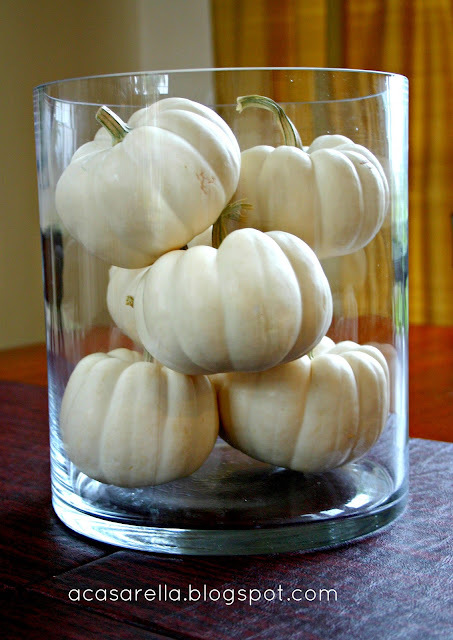 I love the baby boo pumpkins and they are super easy to grow! I love all pumpkins and the stringy guts don't bother me, but I have to admit, yours are truly elegant without the mess! These are so very pretty! I love the bling you added too. Thanks for stopping by Posed Perfection and leaving me a sweet comment about the Butterfinger Cake. I hope your hubby likes it when you do make it. Have a great week! Great bling you have added to your pumpkin. They are so cute. Well those are just darn cute! What a cute idea! I love bling!! I love the pumpkin, these are awesome! 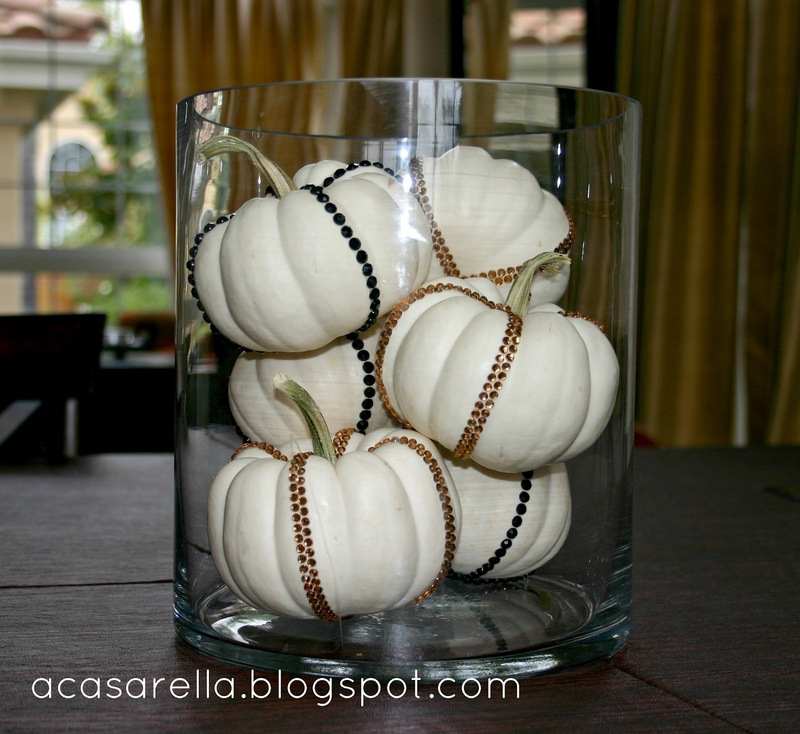 I started decorating for fall today and I was searching for new ideas for our pumpkins this year. I am glad that I found this blog. Great ideas, thanks for the tips. Blingity bling these are cute! Thanks for sharing at my party. Love the blingy look! I'm now a linky follower. Very pretty!!! I'm going to make some too! CUTE! I've shared on pinterest! Super cute, and such a simple idea! Thanks for sharing at The Fun In Functional! THese are just beautiful - have to try this - and because I love bling so much I am definitely your newest follower - would love to have you follow back when you have the time! :D SO cute!!! 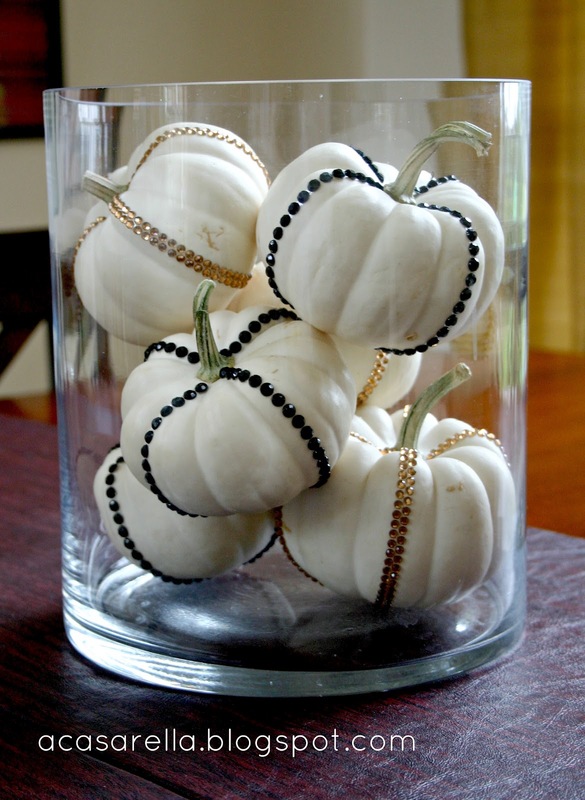 I love how your blingy pumpkins are vase filler. Love the look! So brilliant! I have seen that tape at Michael's and always think about what I could use it on--now I know. I hope you'll link up to my Wickedly Creative Halloween Ideas Party if you haven't already. These are so beautiful! I bought some of that bling on a roll when it was on clearance too, and this is a great idea for it! Stopped by from the linkup at Gingersnap Crafts. Love your blog and, and I'm a new follower. Thanks Pam. I'm following you now too! Glad I could be a part of your happy dance! I love your pumpkins. They are so cute. 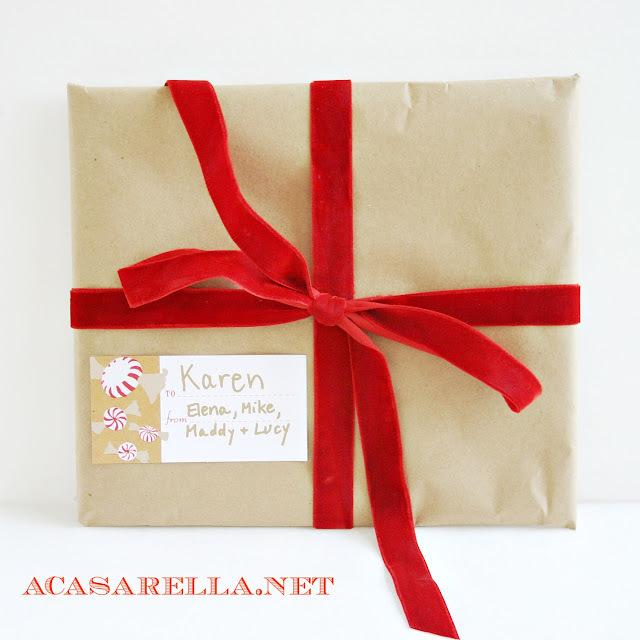 Thanks so much for linking at Adorned From Above. These pumpkins are awesome! I have hurricane filled with gourds right now. Maybe I need to bling them out too! I love decorating pumpkins without having to carve them. Thanks for such wonderful inspiration. I wanted to invite you to join my blog, Confetti Diaries, link party this week. I know this project would be great fall inspiration for my readers. Hope to see you there! These are so cool. I love bling. I would have never thought a pumpkin. I would like to feature you in Oct. Thank you for sharing your creativety. Oh... I love those! What a great idea, and so easy! How cute! Who doesn't love a little bling?! L.O.V.E. So cute! Thanks for sharing at the Pomp Party! Pinning! Hope to see you back next week! So simple and so lovely. 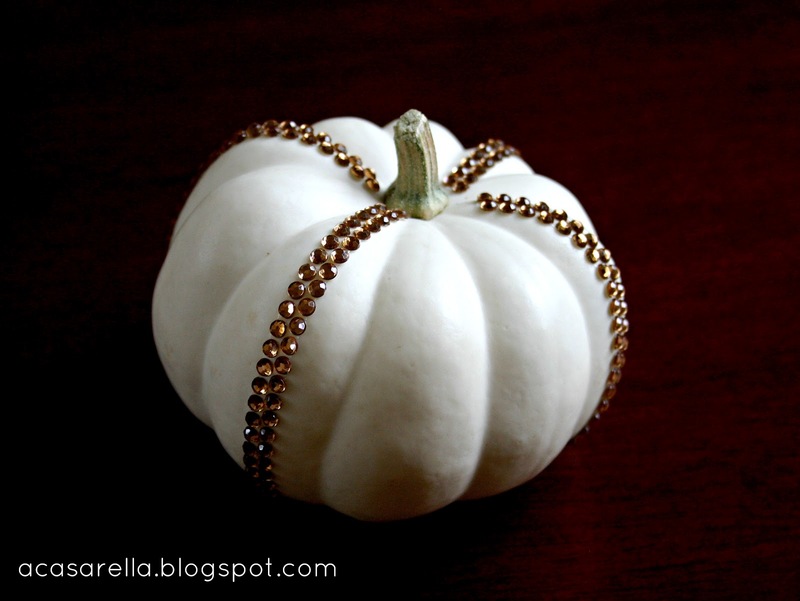 How amazing what a simple little bling can add to a pumpkin! Thanks for sharing your inspiration with Sunday’s Best – you helped make the party a success! How charming an idea! 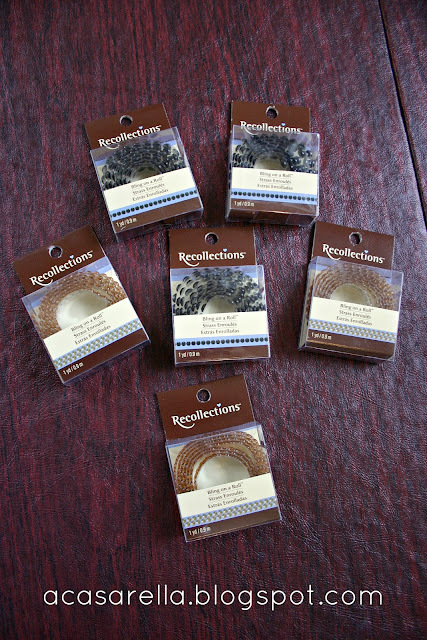 Thank you for sharing your wonderful ideas at our linky party at http://www.finecraftguild.com/ & we love seeing you back there this week with another project!! Very cute!! I like that they are not too over the top blingy!! What a cute idea! Love these! Thanks for linking up with me. I'm featuring you this week! Those are fabulous! The bling would be a great way to dress up those fake craft pumpkins. Your blingy pumpkins are just perfect! I adore them ... along with the 52 others in this comments thread! I wanted to let you know that this post has been included in a collection on my blog. I am an Event Designer, and I put together a weekly post as part of my series, “The Sparkle Queen Events”. Links to your site have been included in the post for my viewers to find easier! 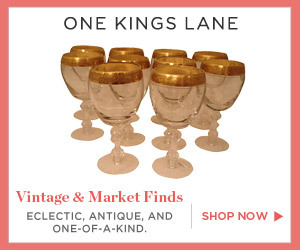 This event will be shared and showcased not only on my blog, but also on my social media accounts such as Pinterest, Facebook, Twitter, etc.. , I’d love to connect pages via social media, so I can showcase your item and share it better with my followers.